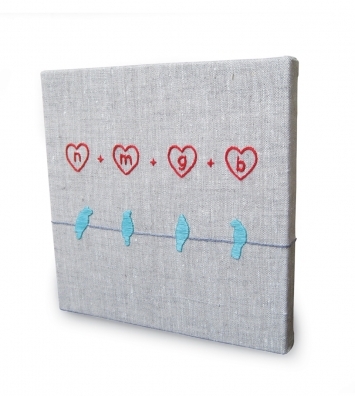 Cookeville, Tenn. & Columbia, S.C.
Owlette makes clothing and accessories for the modern baby with natural fibers and upcycled vintage fabrics. 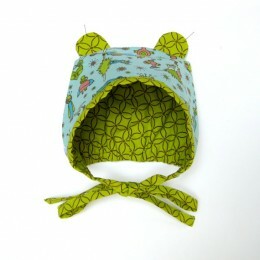 Stop by Homespun to see their super cute bear cub bonnets, baby bloomers, on-the-go crayon rolls and more! Owlette Collective Fun Facts: Bornick plays drums in a band called Those Lavender Whales, Willis writes about sewing when she isn’t sewing, and at one point, Bornick and Willis became immersed in the game Animal Crossing and used to hang out in eachother’s virtual towns. One of them sewed her own Animal Crossing costume for Halloween, but neither of them will fess up to it. 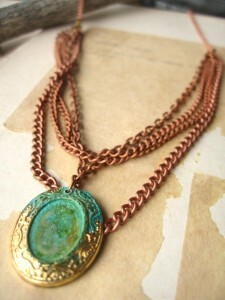 Fischer’s copper and patina necklaces, earrings, cuffs, and bracelets have been a hit at Homespun, appearing on the cover of Indianapolis Monthly’s 2010 shopping guide. Courtney Fischer Fun Fact: She can eat a bag of Sour Patch kids in under 10 minutes! Stevens studied interior design in college and worked on residential and commercial design until she recently decided to make White Nest housewares and jewelry full time. Homespun is proud to carry a selection of Meg’s contemporary pillows and wall hangings — stop by and check them out! Meg Stevens Fun Fact: Stevens’ great-grandfather was in the Guinness Book of World Records for being the oldest groom. He was 104-years-old when he decided to walk down the aisle.